How do I add a new position into my account? Firstly, to add a new position, simply click on the "Positions" tab. 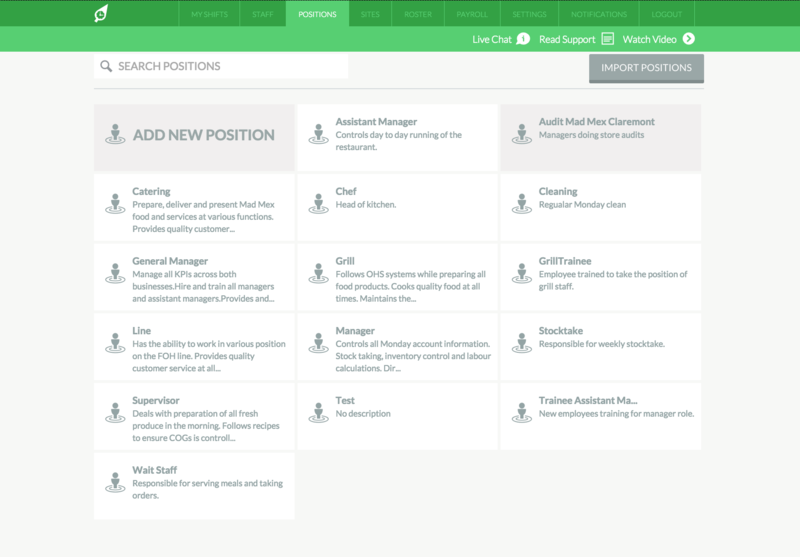 Next, click on the "Add New Position" button which will appear on the top left of your list of positions. Simply enter a position name, and if you wish a short description for the position. At this stage, you can also add a BASE RATE for this position. This is helpful for roster budgeting as if you forget to add a pay rate for an employee, RosterElf will calculate off the position base rate automatically by default. 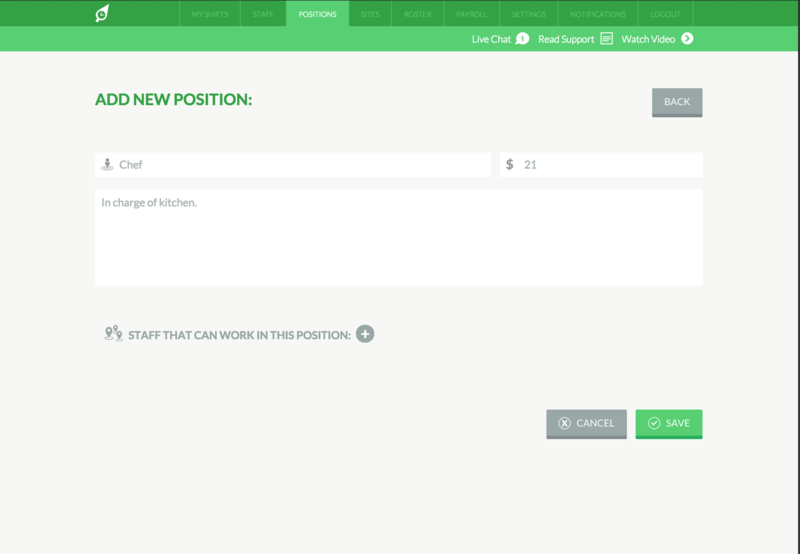 In the example below, a new position of "Chef" with a base rate of $21.00 has been added. 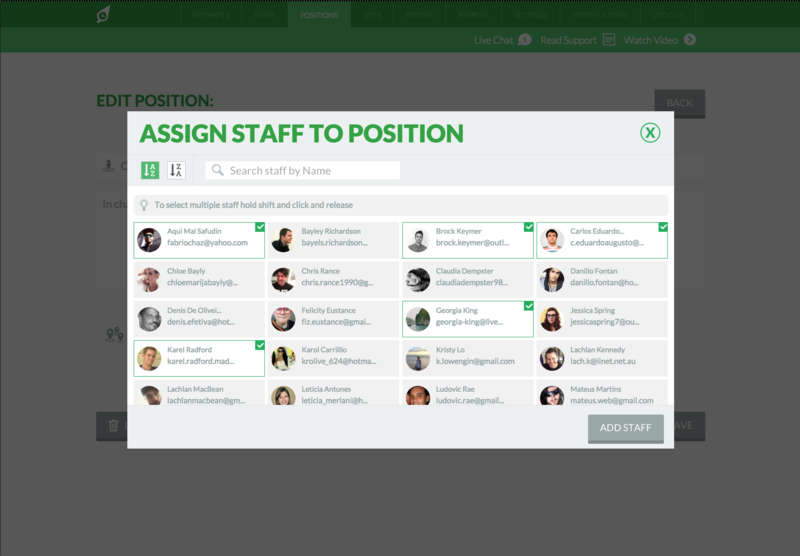 Once you are done, simply click "Save"
Now its time to select which employees can work this newly created position. 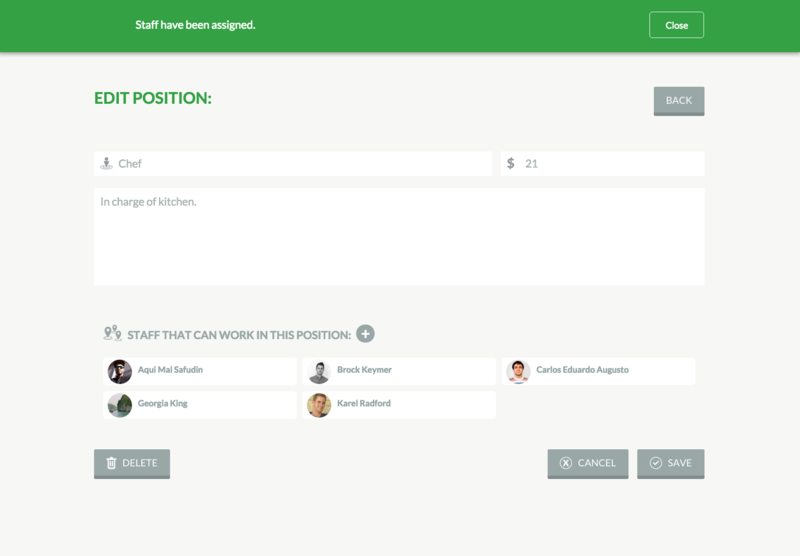 Simply click the + icon next to "Staff That Can Work This Position".